Unfortunately, there is no way around avoiding occasional freezer repairs. To lessen the stress caused by a sudden failure, you should keep our number handy at all times. Our company is standing by to provide you with a qualified tech whenever the urge arises. We understand that a broken freezer must be fixed quickly. 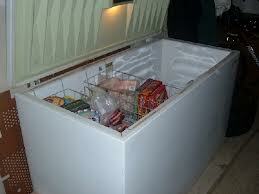 So when you contact us, you can expect a freezer repair Lodi expert to show up at your door that very day. Fully equipped with all necessary parts and tools, the specialist can diagnose and fix a wide array of problems right on site. So don’t miss a single second and book your appointment with us straight away! No matter how tough the problem is, you can count on the local freezer repair expert to address it right the first time! Whether you need an icemakers repair or routine maintenance done on your freezer, you can rely on our company. By partnering with a good number of local techs, we can deliver the required service in a matter of hours. So if there is something wrong with your unit, don’t wait until all the stored food starts spoiling. Give us a ring instead and experience a quick and hassle-free freezer repair in Lodi. Choosing us for the job is the easiest way to take control over your normal routine in the shortest possible term!